Home / Rubbish Removal Blog / How much does Skip Hire Cost? Are you looking for affordable skip hire services in your area? While there may be several skip rental companies servicing Brisbane Southside, skip hire costs usually vary from one company to another. While you should select cheap and affordable skip bins, you should also have a general idea about skip hire costs. This will ensure that you get the maximum value from your skip hire. 4 Waste Skip Hire is very affordable! In this article, I will explain to you the factors on which skip hire costs depend. I will then offer you a brief idea of the costs associated with skip bin rentals. If you’re wondering how I know so much about skip hire costs, it’s because I own 4 Waste Removals. As a skip bin provider myself, you’re getting an idea about costs straight from the source, so listen up! Most skip bin rental companies calculate skip hire costs based on several factors. The size of the skip and the type of rubbish being disposed typically determine skip hire cost. Some companies also factor in the distance the skip needs to travel to be delivered to your location. At 4 Waste Removals, our skip hire costs are incredibly affordable. For the 7-day hire service that we provide, our skip hire costs are very reasonable. 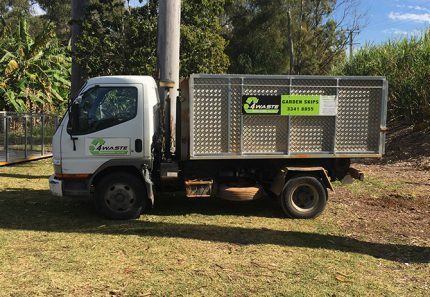 As opposed to other skip bin companies in Brisbane, we are unique. At 4 Waste, we offer garden skip bins and junk skip bins. Instead of offering skip bins of multiple sizes, we have a one-size-fits-all policy. Our skip bins are available in two standard sizes of 6m³ and 8m³ in capacity. We feature fill levels, ranging from 2m³ to 6m³ and 2m³ to 8m³ and only charge you based on the amount of waste you fill into the bins and not for entire bins. We accept only 100% green waste in our garden skip bins. 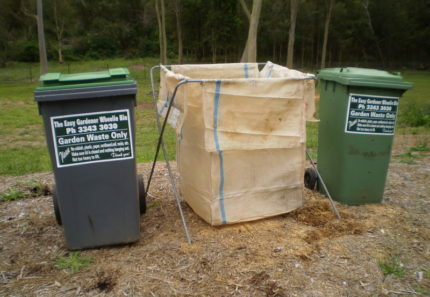 These skip bins are available from $140 for 2m³ of waste. On the other hand, our junk skip bins are meant to dispose mixed waste or general household waste. These skips cost onwards of $175 for 2m³ of rubbish. If you have more than 2m³ of waste to get rid of, you can simply continue filling the skip bin until you’re done. Even when you fill our skips to the maximum capacity of 8m³, it will only cost you $499. 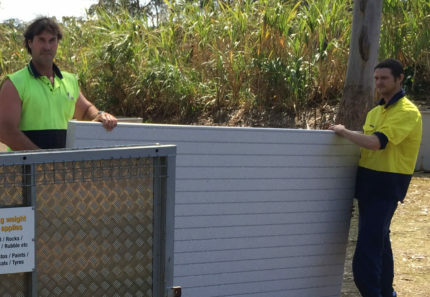 Our prices are far more affordable than other skip providers in Brisbane Southside. With skip prices this low, getting rid of all your household or commercial waste can be an affordable task. Look at our skip bin sizes and prices for more detailed information on skip hire costs. Skip hire costs generally vary from one company to another. 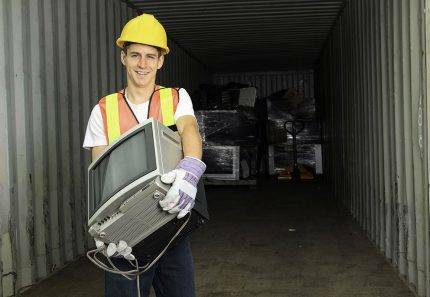 Costs also depend on the size of the skip and the type of waste you need to get rid of. Here, at 4 Waste Removals, we offer incredibly affordable skip bins. The cost of skip hire here at 4 waste depends on the type of skip required. We offer different skip bin pricing for junk skips and green waste skips. Our skip bins feature fill levels ranging from 2m³ up to 8m³. You will be charged depending on the amount of waste that you fill into our skips. 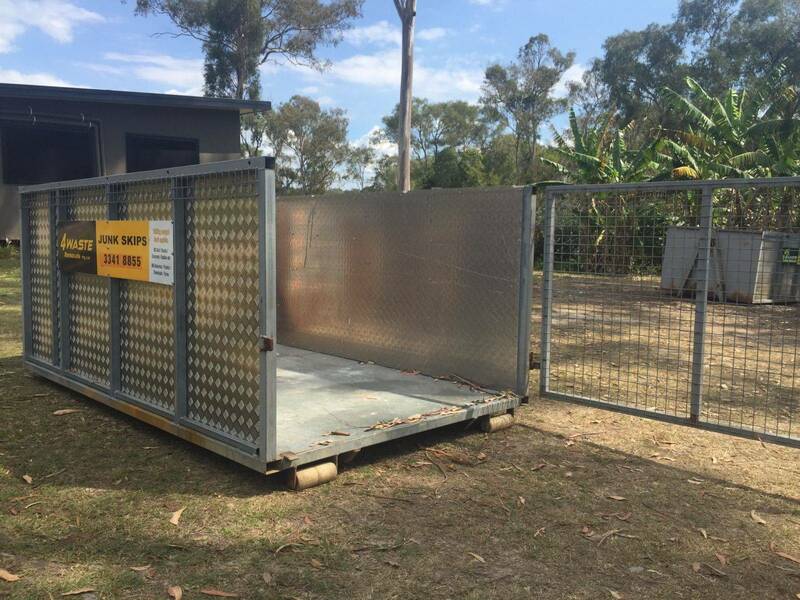 To hire affordable skip bins in Brisbane, simply give us a call at 4 Waste Removals. You can also choose to book your skips online. Thanks to our professional and affordable service, you can get rid of all household waste without worrying about costs. There’s really no reason to delay – hire our skip bins today!